Which game would you like to see made into a film or TV show? With The Witcher Netflix series on the way and another Tomb Raider movie, here's what we'd like to see. Which games would make great movies or TV shows? That's the question we've put to the PC Gamer staff in this week's PCG Q&A, and almost all of us preferred the idea of TV series to films (perhaps because game movies are destined to be dumpster fires forever). Let us know your suggestions in the comments, too! The cursed town is different for every sinner who's lured to it, and I think that's a perfect setup for a series of standalone horror/mystery stories. The supernatural nature of the setting would allow the writers to come up with some really twisted, mind-bending plotlines, and the town would provide some loose structure, making all the episodes feel like part of a whole: similar to the brilliant Inside No. 9, in which every episode is set in a house or other indoor setting numbered 9. With the success of shows like Black Mirror, Electric Dreams, Inside No. 9, and Room 104, the anthology is making a comeback, and I think I prefer them to ongoing narratives that take 80 episodes to wrap up. 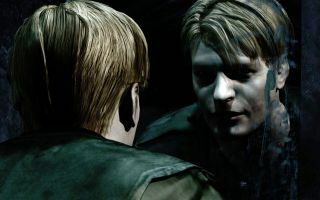 So I'd love to see Silent Hill, which is basically an anthology series itself, get the same treatment on TV. The next time Netflix want to embark on an lavish showcase project like Altered Carbon, perhaps they should take a look at the underwater city of Rapture from the BioShock universe. Watching one guy sneaking around firing bees out of his arms isn't going to be good television, but a show set during the fall of Rapture—before the events of the first game—could be great. You've got warring factions, competing philosophies, demented splicers and the oppressive threat of the ocean itself wrenching districts apart. It could be a decent horror show, though it will be tricky to find heart and empathetic characters among Rapture's central ideologues. It's nothing a little retcon can't fix. Follow a few good souls as they fight hard to stay sane and escape as society implodes. It might be hard to find room for a second series, but hey, Bioshock 2 turned out pretty well didn't it? I'm thinking BioShock but as a Friends-style sitcom, set in Rapture just as everything is going to hell. The gang still meets for coffee (if they can scavenge it out of garbage cans) and wrestle with personal relationships but with the backdrop of a ruined and leaking libertarian paradise filled with lunatics where superpowers can be bought from vending machines. Episodes could include "The One Where Phoebe Dates a Splicer", "The One Where Joey's Corpse Is Harvested for ADAM", "The One Where Chandler Kills His Boss With A Swarm of Bees", "The One With All The Thanksgivings", and "The One Where Ross Discovers He Has No Free Will After Caving In Andrew Ryan's Head With a Golf Club". I'm saying Team Fortress 2 because what I really want to see is more of the shorts Valve have made for it. Expiration Date was 15 minutes long and that was rad, and the Team Fortress 2 comics have been hilarious as well, so I'd love to see what they do with a string of connected half-hour episodes. I only ever reinstall the game to play it when they do their 'Scream Fortress' Halloween events, but I would watch the hell out of that. They should make an anime out of Dragon Ball FighterZ. But I think a Dishonored movie or HBO-quality series is a no-brainer. Frame it as a political drama and leave the assassin stuff in the margins. I'd love to see the world described in all the diaries and notes and books depicted on a massive scale. Season two or three can see the characters off to Pandyssia, the wild continent described in Sokolov's journals, in search of a lost friend or dark truth. Toss in some kissing and I think we'll have a hit on our hands. I struggled with this, because I'm not really a TV/movies guy, but I think The Final Station would make for a brilliant (if not particularly coherent) film. Action, drama, tears, Brutalism, and a weird future-train that's prone to breakdowns: What's not to love? I doubt very much that it could be pulled off in any kind of satisfying fashion, and if it was it would surely be a tremendous box office flop. But give me a cinematic experience that's equivalent to the game—the desolation, the mystery, the loneliness of survival in the midst of pure existential horror—and you'll get my money in exchange. Since they insist on making Star Wars films until I die, why not adapt a decent Star Wars story that already exists? KOTOR is set so long before the Bad Trilogy that you could adapt BioWare's RPG without contradicting anything. You've got a great ensemble, a killer twist and an interesting backdrop. It sounds better to me than this Han Solo movie, anyway. Plus you can make a killer sequel, too.